AudFree Software, as a top leader in multimedia developing field, has been working audio solutions to free all music addicts from any audio annoyance. In order to help online streaming music users of Apple Music, iTunes, Audible or other services, it recently launched a new product called AudFree DRM Audio Converter for Mac, a one-stop streaming audio solution to convert DRM-ed audios, including Apple Music songs, iTunes & Audible audiobooks, as well as non-DRM audio files to MP3, WAV, FLAC, AAC for playing on any popular media playing device. Due to DRM, it’s impossible to play Apple Music and iTunes/Audible audiobooks on common MP3 players or non-authorized devices. Therefore, a dedicated decrypting tool is highly required to break the limit from those specific audios. As a most comprehensive audio conversion tool, AudFree Audio Converter for Mac works as a perfect DRM remover for Apple Music, iTunes songs, audiobooks and Audible AA, AAX files. By using this software, you can easily convert the protected Apple Music M4P songs and Audible AA/AAX audiobooks to unprotected MP3, M4A, AAC, WAV, FLAC and M4B. 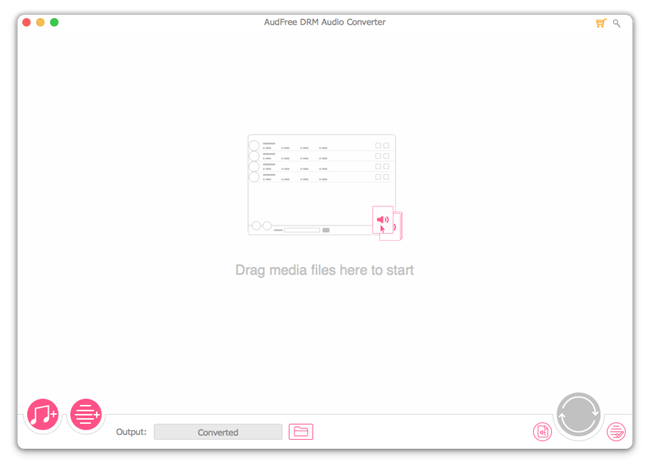 In addition to an exclusive DRM removal solution, AudFree Audio Converter also serves as an all-in-one toolkit for non-DRM audios. It converts between all popular audio file formats without losing any quality. No matter what types of audios you are converting, encrypted or non-encrypted, AudFree DRM Audio Converter is able to keep the original ID3 tags and metadata info in output files, including the audio title, cover, album, artist, chapters, and so forth. And users are allowed to change the audio quality flexibly by customizing the parameters like audio codec, bit rate, sample rate, and more. Better still, when converting Audible AA and AAX audiobooks with AudFree, it can preserve the 100% lossless quality of the original files. And thanks to the built-in audio splitter, you can easily cut the large audiobook file into small segments by chapters or fixed time frames. AudFree DRM Audio Converter is available on its official online store now with $39.95 single user license and $54.95 (USD) family pack. It’s provided with both Mac and Windows versions. The very first version is fully compatible with the latest iTunes version on most OS. 24U Software is proud to announce the release of 24U SimpleFile Plug-In 3.0.3. 24U SimpleFile Plug-In lets your FileMaker solutions easily access files stored anywhere on your hard drive, server, or network, allowing users to keep their files and documents organized without ever leaving the solution’s user interface. With 24U SimpleFile Plug-In your solution can easily create, delete, copy, move, and rename files and folders anywhere on your hard disk, on the FileMaker Server’s hard disk, or any other network connected shared folder. You don’t even have to care about converting between different file path notations as the plug-in understands them and can easily convert between them. This update addresses an issue when Plug-ins randomly crashed on macOS while calling the Plug-in functions and is recommended to all users of version 10.13 High Sierra. * For Mac OS X 24U SimpleFile Plug-In 3.0.3 requires any Intel Mac, 4 GB RAM, Mac OS X 10.10, FileMaker Pro 13 Advanced or newer or FileMaker Server 13 or newer. Minimum requirements for Mac OS X are Macintosh, 2 GB RAM, Mac OS X 10.7 Lion, FileMaker Pro 11 or newer or FileMaker Server 12 or newer. * For Windows it requires 1.6 GHz processor, 4 GB RAM, Windows 7 or newer, FileMaker Pro 13 Advanced or newer or FileMaker Server 13 or newer. Minimum requirements for Windows are 1 GHz processor, 1 GB RAM, Windows XP SP3, FileMaker Pro 11 or newer or FileMaker Server 12 or newer. 24U SimpleFile Plug-In is available as a shareware. User can install 24U SimpleFile Plug-In, and try it out for the period of 14 days free of charge. After this period, 24U SimpleFile Plug-In can stop working and require a registration code. User will get this code after he pays for a license. Licenses for 24U SimpleFile Plug-In start at $49 (USD) per user, volume discounts are available for 5 or more users. Server licenses start at $499, discounted when buying for 2 or more servers. This version 3.0.3 is free for customers of version 3.0. Mirror to Mac, a new iPhone and iPad application for screen mirroring from iOS devices to Mac is available today. The Mirror to Mac app, sold on the iTunes App Store, is the first app to allow for wireless screen mirroring, without the need to install an additional receiver application on the Mac. To start screen mirroring, customers need to download the Mirror for Mac app from the App Store. Before using the app, Screen Recording should be enabled in the iPhone or iPad Control Centre. The Company provides a video tutorial and a step-by-step guide on how to do this. After enabling Screen Recording in Control Centre, users can use the app to connect to the Chrome Browser on their Mac. After connecting to the Mac, a user can slide up Control Centre from within any app, firmly press and hold the screen recording button and start mirroring. Mirror for Mac ($4.99 USD) runs on every iPhone or iPad that uses iOS 11 or newer. It works on any Mac, as long as the Google Chrome browser (which can be downloaded for free) is installed. AudFree, an innovative multimedia studio, officially launched its online store with one of the most popular music solutions for Spotify, namely AudFree Spotify Music Converter, which was specially designed to free Spotify music addicts from any audio annoyance by helping them unlocking DRM protection from Spotify songs as well as extracting the tracks to unprotected MP3 so that they can freely enjoy any Spotify song and playlist on all widely used devices even in offline mode. As Spotify songs are locked by DRM, it’s impossible for free users to download the music streams offline. Even paid users who can save Spotify songs offline are only allowed to listen to the downloads on selected devices due to DRM. That’s why AudFree Spotify Music Converter comes out, aiming to solving this annoyance for both free and premium subscribers once and for all. Now with AudFree Spotify Music Converter, even free users of Spotify are able to freely download and extract any track, album and playlist from Spotify for offline playing in just one click. This intelligent Spotify music downloader can not only download Spotify music offline, but can also convert the protected Spotify songs from OGG Vorbis to MP3, AAC, FLAC, WAV and other common audio formats. In addition, it’s able to retain the lossless music quality and ID3 tags, including track number, title, artist, album, composer, cover, etc. while converting. To achieve better output quality, it also lets you customize the audio parameters, like audio codec, channel, bit rate, sample rate, etc. according to your own needs. Once downloaded, you are able to play the offline Spotify songs on any MP3 player, such as Apple iPod, iPad, Zune, Sony Walkman, iRiver, Creative Zen and more. Now this simple-to-use Spotify Music Converter is available for both Mac and Windows OS with free trial versions provided. The full version is sold at $19.95 for single license and $39.95 (USD) for family license. Users can navigate to the official online store of AudFree to find more details about this product. Zevrix Solutions today announces the release of Output Factory 2.3.1, a feature update to company’s output automation plug-in for Adobe InDesign. Awarded 5 stars by InDesign Magazine, Output Factory automates and simplifies workflows of printers, ad agencies, publishers, and prepress houses worldwide. The software helps eliminate repetitive tasks and costly errors through batch processing with time-saving output options. The new version lets the users easily export InDesign books (.indb) as single page PDF files, as well as other supported formats. The update adds an option to automatically split the book files into their document components by holding the Command key when adding files to the app’s queue. The new feature eliminates the need to manually add separate book parts to the queue. Books must be split into their .indd file components as InDesign prevents from exporting specific page ranges from the book file itself. Output Factory can be purchased from Zevrix website for $169.95 USD (Lite version $119.95), as well as from authorized resellers and Adobe Exchange. Trial is also available for download. The update is free for the users of Output Factory 2.x, and $84.97 to upgrade from Output Factory 1.x and BatchOutput. Output Factory requires macOS 10.7-10.13 and Adobe InDesign CS3-CC 2018. Star Sprite Studios is proud to announce the release of Super Candy Ball (v1.0), the company’s unique fingertip match game developed for iPhone, iPad and iPod touch devices. Super Candy Ball is a new and different match game you won’t find anywhere else. 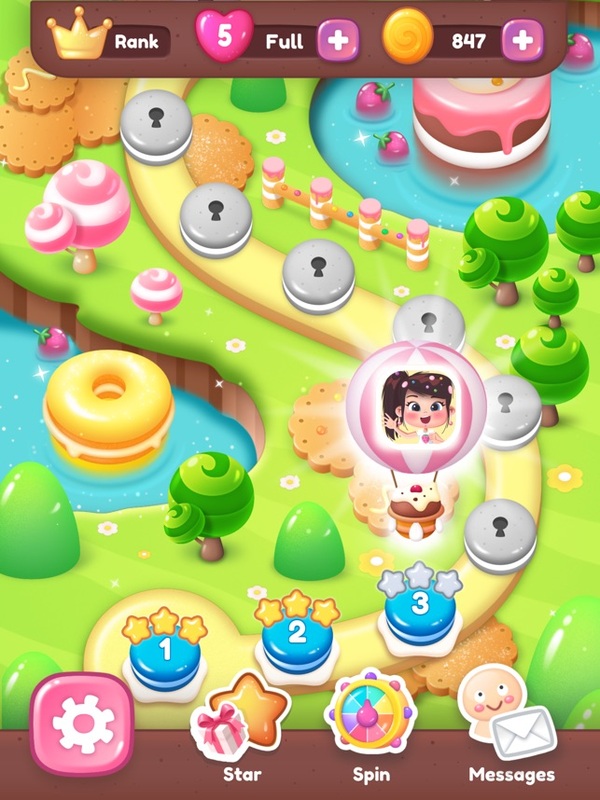 In this fun, animated game, players must move candy balls so that they group freely to create explosive matches. Escape from boredom and stimulate your mind by moving your finger and using your talent for solving puzzles. Collect stars to unlock special items to help them pass very tricky levels. Offering 4 different game modes, there are power ball, color bombs and various another magical booster to help with challenging levels. Take on this fantastic super candy ball along or play with your friends to see who can get the top score! Super Candy Ball is Free (With In-App Purchases) and available worldwide exclusively through the App Store in the Games category. Have fun playing Super Candy ball! if you have any questions or concerns, please contact Zhang Kai. Zevrix Solutions has announced the release of Output Factory Server 2.0.18, a feature update to company’s output automation tool for Adobe InDesign. Output Factory Server automates InDesign production workflow by processing files from watched hot folders. The software offloads printing and exporting from InDesign to a central system leaving operator workstations free from the output process. Output Factory Server 2.0.18 can be purchased from Zevrix web site for $699.95 (USD), as well as from authorized resellers. Trial is also available for download. The upgrade to version 2 is $350 for the licensed users of Output Factory Server 1.x and BatchOutput Server. Output Factory Server requires macOS 10.7-10.13 and Adobe InDesign CS5-CC 2018. TheKeptPromise is proud to announce the release of Create Booklet 2 (v2.1), the #1 macOS app to create a real physical booklet of any size easily from PDF using any printer. Most people prefer sitting back and enjoying a physical book to leaning forward and squinting at a monitor. Reading stories, documents, poems, music, instructions, sermons, lyrics, etc. on paper is much easier on the eyes and handier. With Create Booklet transform a PDF or document into instructions for you and any printer to output and create a physical booklet. Create Booklet performs it’s magic by making imposition (usually an arcane art only understood by a chosen few) easy. Imposition is one of the fundamental steps in the prepress printing process. It consists of the arrangement of the printed product’s pages, in order to obtain various sized booklets, faster printing, stitching, binding, cutting and reduction of paper waste. Major Features – Easy to Use – This is all most people need to know. * Easily find booklet splits: Create Booklet adds an empty page in between! * Rasterize complete PDF documents. Can save corrupted PDFs! Now the Create Booklet app for macOS does this for anyone. There have been digital imposition software in the past but they were either difficult to use, restricted to certain printers or crazy expensive. Even now some imposition apps cost $400 or more. Create Booklet takes this art and makes it available to use on any printer, by anyone, easily, for only $20 (USD).